I've never really seen this blog as a venue for news, mainly because I'm usually the last person to find out about anything. 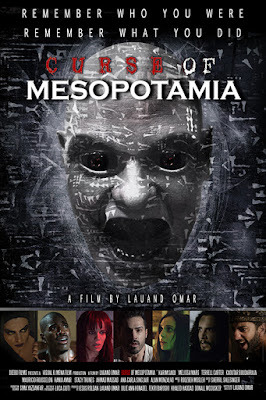 However, Twitter pal and fellow horror geek Zena Dixon over at Real Queen of Horror let me know about an interesting movie coming out of Iraq called Curse of Mesopotamia. 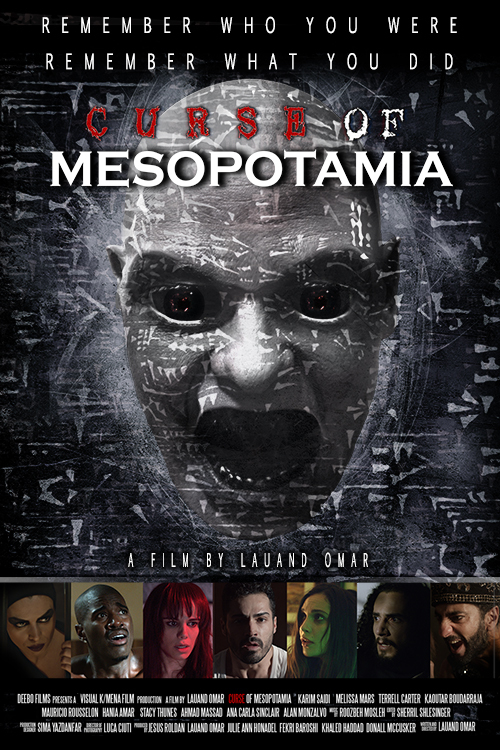 Curse of Mesopotamia, the first English language genre film out of the Middle East, featuring a diverse international cast, is available On Demand in the U.S. and Canada via iTunes & Amazon this August. The advance of ISIS halted production in Kurdistan, Iraq back in August, 2014. With strong perseverance the indie film completed principal photography in April, 2015 in Jordan. The pre-release in Iraqi cinemas throughout November, 2015 was a success, scoring the #1 spot at the Box Office amongst the new releases, 2nd overall, just behind Spectre, the new James Bond. While I'm often a sucker for tried-and-true in horror (I'll be first in line if they release another Friday the 13th) I'm also intrigued by movies that bring something different to the table. The movie focuses on five strangers are brought together with only one thing in common: nightly visits by a Demon in a nightmare so disturbing it has affected their everyday lives. When their common psychiatrist suggests group therapy in a location similar to the place they keep seeing in their daily nightmare. Without giving too much away, it's safe to say that things do not play out as the group expected. The backstory about the production was enough to warrant a look at the trailer, and now I'll admit that I'm intrigued. If horror a genre that reflects our fears as a society, I'm interested to see what cultural phobias come out of the Middle East. I'll be keeping an eye out for it this August.